The hearing for Bill H4062: Informed Consent for Benzodiazepines and Non-benzodiazepine Hypnotics took place on Monday, April 4 at 1PM at the Massachusetts State House in Boston, MA – in the middle of an April snowstorm! The committee hearing the testimonies will be reviewing all of the written testimonies of the people unable to attend the hearing, and will then decide whether or not the bill moves forward to the House and Senate. The discussion, parts of which you can watch in the video below, clarified some important points in the legislation and gave survivors an opportunity to tell their stories. Benzodiazepines are a class of drugs which include commonly known brand names like Ativan, Xanax, Klonopin, Valium, and Restoril. Generics include lorazepam, alprazolam, and clonozapam. 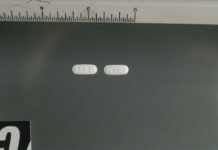 Non-Benzodiazepine Hypnotics are Z Drugs, otherwise known as sleep aids, which include zolpidem, eszopiclone, and zaleplon, with brand names like Lunesta, Sonota, and Ambien. There are thousands of people who take these drugs successfully, with no problems, but there are also many who end up dependent on and/or severely injured by the drug’s effects; some are even disabled. And this is taking the drug AS PRESCRIBED. Many of these patients were never educated about these risks by their doctors. To learn more about Bill H4062, and to read the specific proposals, please see my earlier summary available here. There were testimonies from 14 proponents which included Representative Paul McMurtry (the bill’s initial sponsor), benzodiazepines survivors, caretakers of survivors, and a testimony by Richard Lewis, Mad in America blogger who has extensive professional experience in the fields of mental health and addiction. Janet Kraft, a benzo survivor, took the day off work and traveled from North Carolina to attend this hearing. Heather Solimine, also a benzo survivor, left New Jersey at 7:30am on the day of the hearing and arrived in Boston just in time to testify. Heather’s drive took longer than expected because of the snowstorm, but she was determined to attend. The committee has also received hundreds of emails (written testimony) from survivors, caretakers, and doctors from around the world, all imploring the committee to support this bill. The committee is accepting emails and personal stories until Monday, April 11. If you have not had the chance to reach out, you still can! You can find the details here under “What you can do to help“. There are also those who are pushing back against this informed-consent legislation. At the hearing, a lobbyist gathered five doctors to testify against the bill. Of these five doctors (Dr. Jerrold Rosenbaum from MGH, Dr. Carl Salzman, Dr. Gregory Harris, Dr. Ed Silberman from Tufts, and Dr. Karsten Hueppenbender), four are practicing psychiatrists and one is strictly an academic psychiatrist. The testimonies from these doctors expressed concerns that this bill would inhibit doctors from prescribing benzodiazepines to patients who may be helped by this class of medications, especially those living with anxiety. This bill does not restrict the prescribing of benzodiazepines, however. It is strictly focused on informed consent, patient and doctor education, and safe tapering protocols. They expressed concern over a portion of the bill requiring doctors to use brightly-colored prescription pads, or stickers on the prescriptions, to alert patients to the potential dangers of benzos. One doctor stated that using this colored prescription pad specifically for benzodiazepines would be inconvenient. The committee rebuked this comment, saying that patients deserve to know if they are receiving a dangerous drug that could cause dependence. One doctor claimed that it was not right to “single” benzodiazepines out, and that other drugs, like stimulants, for instance, should have the same regulations. This argument is equivalent to saying, “we shouldn’t regulate heroin until cocaine is regulated.” We need to start somewhere. Another concern was that patients with anxiety face stigma, and having a prescription that “sticks out” would increase stigma. A few of the testifying doctors had seen patients who experienced post-acute benzodiazepine withdrawal and said that they had no explanation for this reaction. Others claimed that they had never seen post-acute benzodiazepine withdrawal in their decades as a psychiatrist. This is a good example of the lack of consistency in prescriber education and understanding of benzodiazepines. The fact that a few doctors who testified had seen patients suffer from post-acute benzodiazepine withdrawal, while others didn’t, seemed to highlight the point of diversified understanding and education. There are far too many situations where doctors fail to recognize the symptoms of benzodiazepine or psychiatric drug withdrawal and end up diagnosing a patient with a worsening “mental illness,” then treating that “emerging illness” with more and more medications. When doctors and psychiatrists are working independently, universal quality care is often lost. This bill would force consistency of care, and save some patients from unnecessary suffering by providing a basic consent form informing them of the risks of this class of medications. The committee also made the point that while these particular doctors might not prescribe benzos long term, and while they might be meticulous in their prescribing practices and always inform the patient of risks, other prescribers in the state might not be as careful. Three of the doctors stayed after testifying to hear the testimonies from survivors. A few doctors even stayed to talk with survivors after the hearing was over. The proponents of this bill listened politely to the physician’s testimonies and were able to respond to their claims when they had an opportunity to speak. Gardiner pointed out that she specifically told her doctor that she was experiencing post-acute benzodiazepine withdrawal from taking Klonopin 3x/day for one month. Her doctor said that that was impossible. If her experience was an impossibility to her prescriber, then how would her prescriber ever be able to diagnose someone in post-acute withdrawal effectively? John Zielin, my dad, who spoke on my behalf, mentioned how my prescriber had misdiagnosed my symptoms of tolerance to benzodiazepines as a “worsening mental illness” and then attempted to “treat” this with a powerful mood stabilizer. Let’s keep the momentum up on this bill by sending our stories. Reach out to Massachusetts representatives, senators, and governors and ask them to vote yes on this bill. Making this Massachusetts law a reality is just the start. Other states could adopt this law, and eventually, it could move onto the federal level. Let us communally tell our stories; it is our time to be heard, and to use our experiences to protect other unsuspecting patients. The entire hearing was filmed for the documentary, As Prescribed, which highlights the dangers of benzodiazepines and the epidemic of over-prescribing. Follow updates and “calls to action” for Bill H4062 on the new Benzodiazepines Bill Facebook page. Thank you for your support – together we can make this bill a reality! 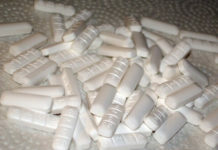 Is Xanax Really the Bad Guy? Thanks for your work on this. In 2009, I was addicted to Klonopin after taking it for several months multiple times a day. Yet I was taking it as prescribed by my psychiatrist, who also happened to be a nice guy in general and even had one of Peter Breggin’s books on his shelf. At the time, I knew little about benzodiazepines. I had simply asked for medication for anxiety and then if I could increase the dosage when I noticed the short-term duration and that’s what I got. My doctor never mentioned the possibility of dependence. I developed daily anxiety attacks so bad I could barely stand during them. Even good doctors can make mistakes and the risks of these drugs need to be publicized. How did you stop using the medicatio and be able to withstand the withdrawal side effects? Anne, I would ask those who have been there, those who have convened together, who have actually been through this. There are two online forums I know of, one called Benzo Buddies and the other called Surviving Antidepressants (which also covers benzodiazapines). These are actual patients and ex-patients who have been through it, not just doctors who have never experienced it who are reading stuff from textbooks. So they would know. I have spoken to these folks myself and I think you can trust them because they’ve convened and seem to have developed some good strategies. The problem seems to be that when these drugs were developed, the drug developers and doctors did not plan on taking people off the drugs, ever. They only planned on putting people on…for life. Obviously, this was poor planning! This is not the first time in history technology has gotten ahead of itself, and not the last time it ever will. There were certainly those of us who had the foresight to see the dangers of benzos and tried to warn the public. “Hey, the Titanic is going to sink!” But what happened? Anyone who dared say such a thing was called a heretic, a traitor. The government has enough of a muck right now with people addicted to opiates, and frankly I think all that stems from the medical community’s long-term gross acts of fraud and refusal to take responsibly for its actions. My heartfelt thanks to yourself, John ( your father ) Geraldine and Richard and all attendees for your bravery and sincerity in telling your stories to the Committee. I know from my own experiences in giving testimony to UK Committees and live TV broadcasts the amount of individual courage and total honesty that is needed, in reliving past and present benzodiazepine drug dependence. It is daunting but the human spirit to stand up and passionately tell of the suffering that we have gone through drives us, in order to help those whose voices are not or cannot be heard. 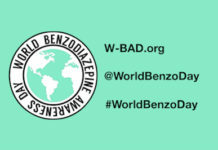 The UK and the USA campaigners are raising public awareness of prescribed benzodiazepine drug dependence to a new level and one that Governments, cannot keep sweeping under the carpet. It is time for a spring cleaning and time that they stepped up to the plate. We keep up the pressure for change and constructive action that is so vitally needed. I hear it’s a very deep, dark hole to end up in. A few years back, I sat next to a guy in an ER who was going through withdrawal. I was so scared he was going to have a stroke. I was in there with an L-shaped roomful of us in rather cramped quarters with no nurses around and neither of us could get the attention of the “guards,” who were behind some sort of mini glass window…if and when they felt like answering. Knocking didn’t always work. That TV on the wall was not particularly comforting. I remember he kept asking, “Can’t you just give me something?” He could barely get those words out. He couldn’t stop shaking. I told him I would sit there, and stay with him. A friend called and told me that everything that had happened I deserved, that I had “asked for it,” that I was “stupid not to take the doctor’s advice.” With that, she stopped being my friend. I looked around me and told myself, “Here are those of us who were unlucky enough to be patients.” I didn’t find out what happened to that man. I’m alive, though. Just want to say “thank you” to Alison and everyone else involved in this effort. Very inspiring. If there was a bottle of Xanax in the medicine cabinet of every American household Anheuser-Busch, Miller Coors, and a whole lot of other beverage companies would go bankrupt in a week. And so would Pfizer, Eli Lilly, Astra Zeneca, etc. Benzo’s work for a wide spectrum of neuro/psycho distressing mental condition’s. And that’s just plain, “bad for business”. And it’s not conducive to the advancement of the whole concept of Biological Psychiatry. Check this out – Chemical biology is a scientific discipline spanning the fields of chemistry, biology, and physics. It involves the application of chemical techniques (experimental drug’s) tools (psychiatric coercion) and analyses, and often compounds produced through synthetic chemistry, to the study and manipulation of biological systems (your delicate brain). Chemical biologists attempt to use chemical principles (novel drug’s) to modulate systems to either investigate the underlying biology (the monoamine hypothesis of depression) or create new function (suicide, homicide, mass murder, compliance to your diagnosis/treatment even if it makes you feel worse). So folk’s when you hear these terms like chemical imbalance, ADHD, ADD, Bi-Polar 1&2, Seasonal Affective Disorder, Major Depressive Disorder, and so on, just remember it’s all BS. There’s no such thing as the aforementioned. There’s only neurological and psychological diversity in the Human species. I’ve used/abused every alcohol and so called “addictive” rec drug known to science. And have always managed to stop the drug completely or moderate my use. And then I met Effexor XR in 2002. And 14 year’s later I still find myself unable to say, “I can live without this”. As of March 31,2016 I stopped Effexor XR cold turkey at 150mg’s (75mg last day). It’s now 1:11am, 4/26/2016. And if it wasn’t for clonazepam (a BENZO) I probably would have pulled the trigger a couple of week’s ago. So congrat’s folk’s on helping the corrupt pharm corporation’s phase out the a/effective, affordable, understood calmative’s in favor of the semi-affective, very expensive, highly unpredictable AD’s and AP’s. And I’ll quote Richard DeGrandpre in his book, The Cult of Pharmacology, “there are no good and bad drug’s. Only good and bad relationship’s with drug’s”. Good Day. Thank you for your advocacy. I fear that I am not alone with my struggle to get off clonazepam. I have been prescribed the medication for the last EIGHT years, taking it three times a day. I was prescribed it as a senior in high school without any information regarding how addictive it is and how hard it is to get off. I have tried to go off of the medication but I cannot bear the withdrawal side effects. I’m afraid I will never be able to get off of the medication, I don’t know how to handle the severe withdrawal process. I wish I was never prescribed this medication because I’m not able to decide that I’ll One day I’ll stop and I’ll be okay. The truth is, I won’t be okay. My doctor does not believe the symptoms I have when stopping clonazepam. I feel as if I can no longer function with society or take general care of myself. Every system in my body is effected. Had someone only told me the major risks to this medication, I may have been able to avoid this horror of withdrawal that I’m not strong enough to go through after 1.5-3mg everyday for 8 years. Please respond with your advice or thoughts – I need your help. Thanks so much, Alison, for keeping us up to date on this! It’s so needed! So happy this hearing took place, and for many it’s been very, very difficult recounting their stories. Finally, after half a century, something is being done. I never would have known such a thing existed if I hadn’t gone through it myself. It’s been over three years now and not healed. I continue to have hope, though. It’s hard speaking to doctors and nurses about this subject. They have no clue. It is disheartening and frightening to know that I am not understood and that my anxiety becomes something that a drug will cure. In reality, time is the true healer, and throwing more drugs into the fray makes the whole benzo journey that much more difficult.